...and then he pointed down. Here is the work of Chewing Gum Man Ben Wilson. 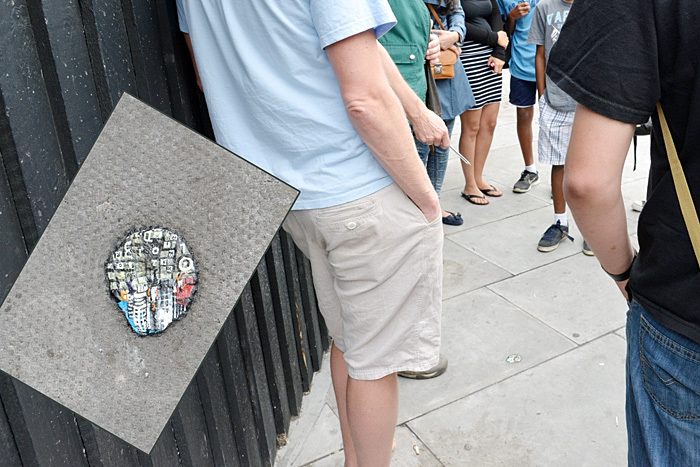 He finds blobs of chewing gum on the street and through a surprisingly long process including heating it until it melts, paints intricate designs as inspired by the location, and turns the blob into an art piece. He sprays the finished product with some material to make it last, for a while anyway.